Brexit has been a catalyst for the UK to re-think and re-establish its role in the world. It has also led Spain to continue pushing forward it plans for joint sovereignty of Gibraltar with renewed vigour. Gibraltar, much like the rest of the UK’s overseas territories, represents a unique asset that plays a crucial part in maintaining and developing the UK’s role in the world. There are 4 primary reasons why we should care. By matter of principle, the UK should support Gibraltar’s right to decide its own future, which as the recent referendum in 2002 showed, is overwhelmingly in favour of remaining a British Overseas territory. The UK has previously determinedly stated that it will “never enter an agreement on sovereignty, without the agreement of the Government of Gibraltar and its people”. This can be seen simply as the UK continuing to adhere to one of the key principles of the UN Charter (Art.1.2), that of equal rights and self-determination, a strategy which ensures a continued stability of the international legal order. The British Foreign Policy Group is a firm believer that the UK should use its role within the international legal system to continue to promote both the international order and its foreign policy aims. Therefore, out of principle, it is in the UK’s interest that Gibraltar’s decision with regards to sovereignty remains respected and protected. Gibraltar has important economic benefits for the UK. The financial sector, accounting for 33% of its GDP is a key aspect, with “67 insurers with £9.95bn in total assets, 13 banks, 72 trust and company service providers, 14 pension fund administrators, and 17 audit firms”. Equally, it is the home to 60% of all global online casino and gaming business, as well as being an important tourist destination. Gibraltar is also importantly interconnected with Spain, with over 10,000 people crossing the border for work on a daily basis. This interdependence is often used by the Spanish as a bargaining tool, threatening to close the border. However, this interdependence should be viewed by the UK as an opportunity to further build ties and reduce political tension. A quick glance at a map already tells us about one of Gibraltar’s primary assets: its location. The potential to control (or indeed to avoid other nations control) over the straits of Gibraltar puts the UK in a unique and privileged role internationally. 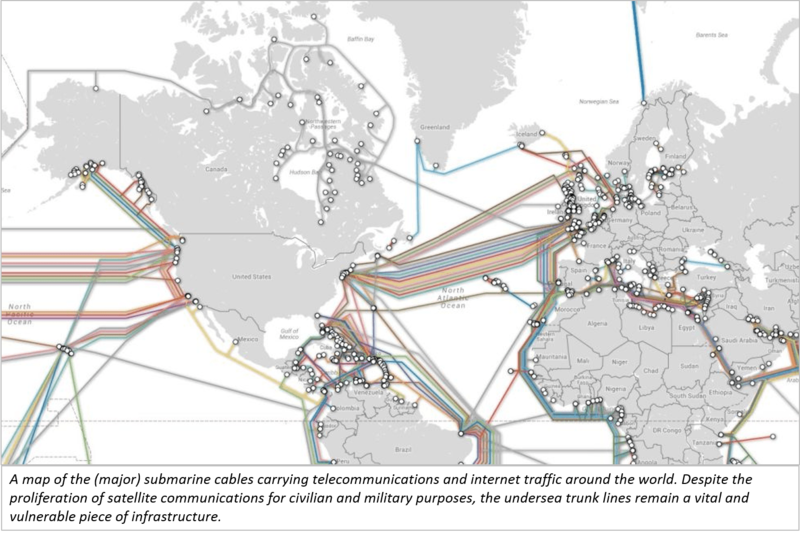 For example, half the world’s trade passes through the strait, as do many of the world’s telecommunications submarine cables. Equally, its location allows Gibraltar to hold an important military and defence related role. The loss of Gibraltar would not just undermine the security of the UK, but of the entire Mediterranean, and the trade flows and information that pass through it. The issue of Gibraltar shows that no aspect of our foreign policy, can be undertaken without a continuous comparison to the UK’s global outlook. Whilst the issue of Gibraltar might at first sight appear to be an issue between Spain and the UK, the 25th “Cumbre Iberoamericana” (a yearly summit held by the Organisation of Ibero-American State-OEI), held only a few weeks ago, shows that it extends to our relations with the whole of the Hispanic and Portuguese speaking world. These 22 countries have backed Spain’s claim to joint sovereignty of Gibraltar, whilst also backing a “dialogue over the Falklands” between the UK and Argentina. We cannot therefore look at Gibraltar as an issue just between the UK and Spain, or even as an EU issue related issue. The UK’s level of engagement with Spanish and Portuguese countries around the world will influence much they will continue to support the Spanish or UK position on Gibraltar. Conversely the UK’s relations with Spain will undoubtedly have an effect on our relationships with this increasingly economically important bloc of 22 countries. A large part of the UK’s important role in the international system is down to its history as a global actor. The UK should continue to strike the balance between accepting and working to mitigate its contested role as a former colonial power, whilst at the same time using its overseas territories to promote positive UK values, positions and justify its presence as a global force for good. The UK cannot easily change its position on Gibraltar without upsetting this balance. In a time of uncertainty and re-evaluation surrounding the UK’s position in the world, Gibraltar remains a rock in our strategic and symbolic advantage that ensures the UK’s role as a truly global power. It is therefore all the more important as Brexit in some form approaches that the UK develops greater focus and revitalises proactive diplomatic and political efforts to ensure the people of Gibraltar can feel confident they will remain citizens in a strategic and valued part of the UK.